This was one of those “throw together Tuesday night” kind of meals for us last week. I was feeling really tired and didn’t feel much like cooking so I defrosted some ground turkey that I had stashed in the freezer last month and threw together these easy burgers! They actually turned out really, really great so I decided to post them on here after all. Actually, while we were eating, Adam was like, “you’re blogging about these, right?” I told him no…and he said, “well, you really should!” So I did. I hope you like them as much as we did! I made a version of these a few years ago that used feta cheese, which you guess seemed to really like a lot. Having eaten both now, I have to say I like these better! 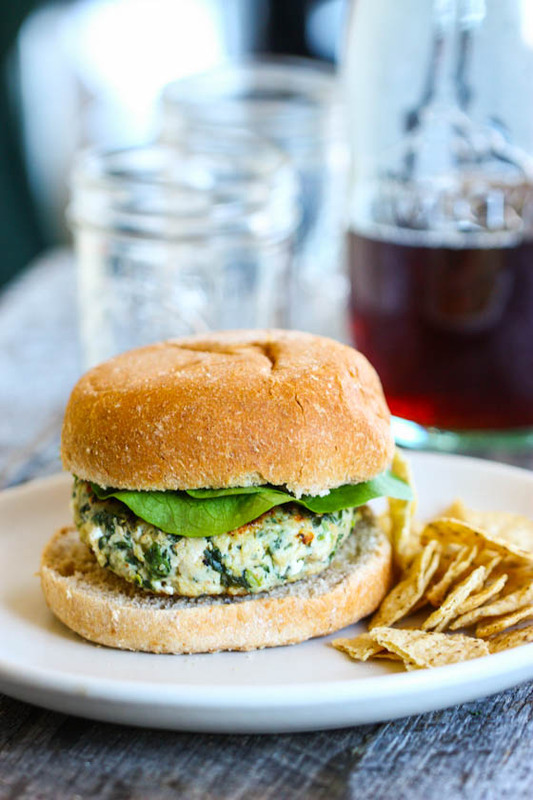 I’m a huge goat cheese lover and these healthy burgers are just stuffed with it. The “kick” comes from a heavy sprinkle of Tony Chachere’s — my favorite seasoning. You can find Tony’s in the spice aisle of most grocery stores. We put it on EVERYTHING in this house from eggs, to seafood, to steaks. I used my grill pan for these but they’d also be great thrown on the barbecue. 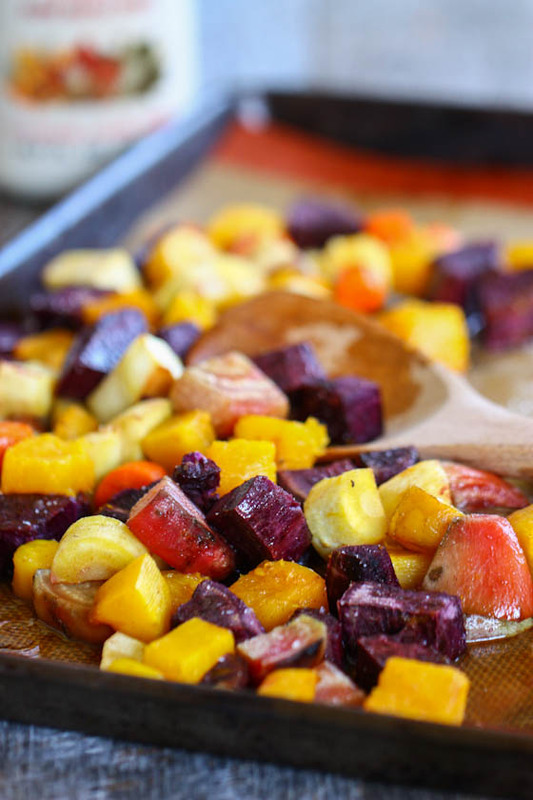 Try serving with corn chips or sweet potato fries! In a large mixing bowl, combine the ground turkey, egg, defrosted spinach, bread crumbs and seasoning. Mix well until all ingredients are incorporated. Add the goat cheese and mix again until combined. Heat up a grill pan over medium heat. Spray with nonstick spray or add a drizzle of oil to the bottom of the pan. While the pan is heating up, form six patties out of the turkey mixture. Cook the patties in the grill pan for about 6 minutes per side, or until juices run clear. Serve with warm whole wheat buns and any additional “fixins” you like. 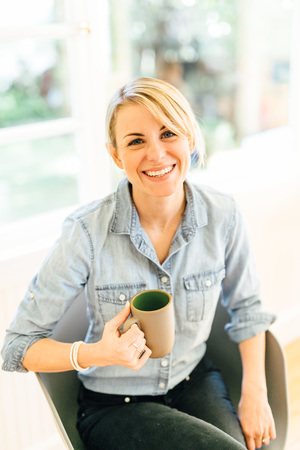 I don’t know – yours sounds pretty darn good too! Winning flavor combination – these sound awesome! I’ve never tried that seasoning but it sounds like a must! Oh my goodness Jenna, you have got me craving a burger so badly right now! Only problem is my entire gated patio is covered in snow and I need it to melt so I can get to the BBQ! I think the way you feel about Tony Cachere’s is the same way I feel about Costco’s Kirkland Organic Salt-Free Seasoning. I literally do put it on everything – it’s amazing stuff! YUM! These sound amazing! 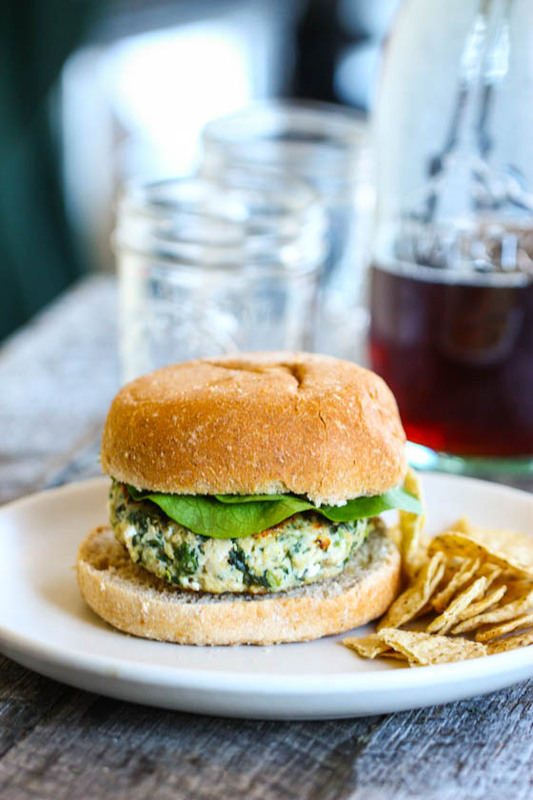 I love making turkey burgers with “stuff” in the them – and goat cheese always = perfection. Yum! What type of turkey (fat ratio) do you use? love me some turkey burgers.. I don’t eat red meat so burgers for me are always ground turkey or chicken. I’m always looking for different ways to change them up. These look so good. These look so awesome! I throw stuff in burgers occasionally (onions, chopped liver if I’m feeling weird) but never thought of goat cheese and spinach. So much yum, I’m going to try these once I stock up on my goat cheese! Major yum! I haven’t had a good turkey burger in ages! Impressive! I love that your hubby wanted these shared. Noticed it makes 6, did you cook the other ones for leftovers? Also, were do you get your buns? Bakery or store? We’re on the search for yummy whole wheat hamburger buns! Can you use fresh spinach instead of frozen? How would the recipe change? Thanks! It’s hard to choose between goat cheese and feta but like you, I will also pick goat cheese. These look soooo good! 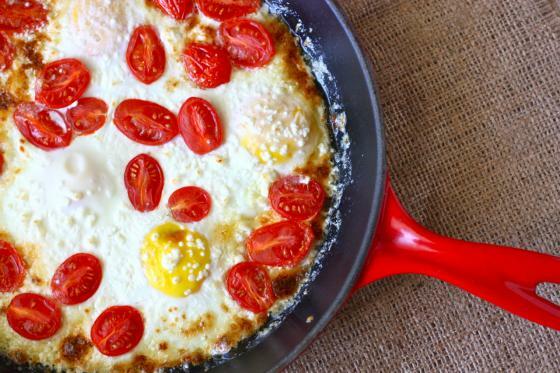 I love your version of these with the feta so I’ll definitely have to try these! They look amazing! Would they be okay without the panko, or should I replace with something else to bind? I’m gluten-free. These look great! Your feta version is our favorite and we love it so much that it’s also become our meatball recipe. Sort of. If that makes sense. I am so excited to try these!!! These look great. Don’t you love it when a completely unplanned meal turns out amazing? 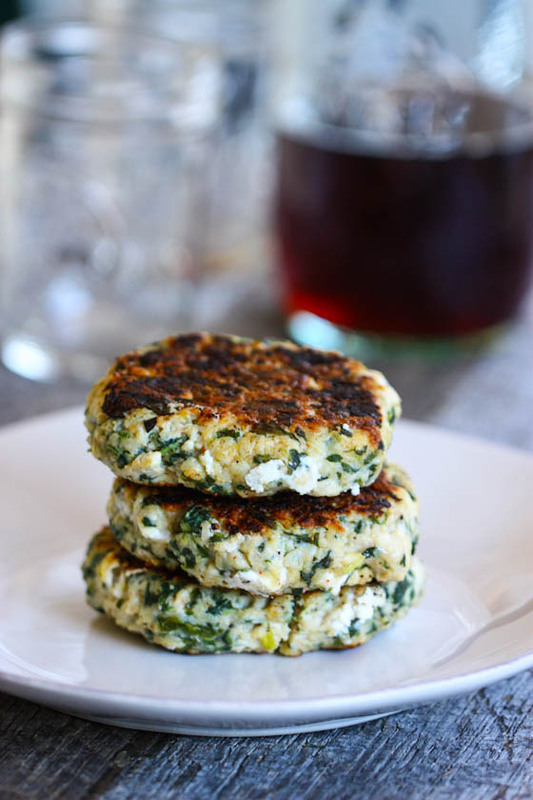 I’ve made your spinach and feta turkey burgers many times, so I can’t wait to try these! Love this rendition of the turkey burger! Oh so colorful too! 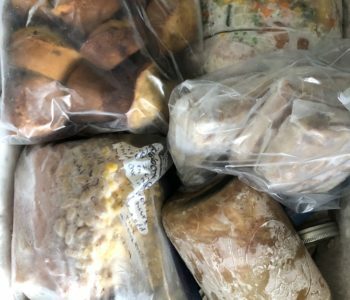 Think these are freezable? Look phenomenal! Oh, I love recipes like this! Perfect for the nights you want something fast, but uncomplicated. And turkey burgers are my fave. Can’t wait to try and make these sometime soon! I love goat cheese! I never would have thought about putting it into aturkey burger thanks fir the great idea! Cannot wait to try this one out! We had these for dinner tonight. They were great! My 2 1/2 year old and my 1 year old gobbled them up. Had all the ingredients on hand – winner! Made these last night and they were great! I didn’t have frozen spinach, so I used fresh which I wilted down, squeezed out the extra liquid and then chopped. I also didn’t have the Tony Chachere’s seasoning, so I used a cajun seasoning instead. These were really moist burgers (even using a 99/1 mix). We served them with a simple green salad. 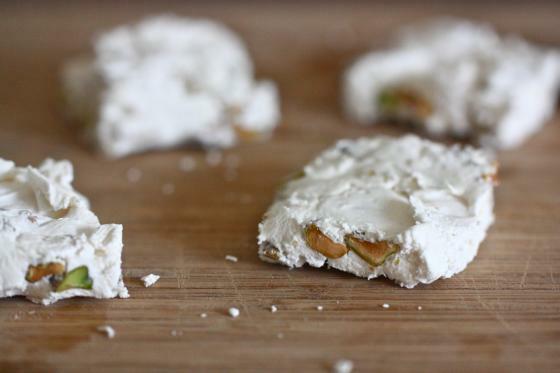 Awesome, I often make them with blue cheese since I always end up eating the goat cheese! Yummm, these are so easy and delicious! We grilled them and topped them with avocado, tomato, and tzatziki sauce. My only issue is trying not to eat all the goat cheese before making these as someone else mentioned. Love this recipe! Planning to make these again tonight for maybe the fourth time which is saying a lot because we don’t repeat recipes often in our house! I also love taking the leftovers for lunch at work the next day. They reheat wonderfully and are delicious over fresh greens. Yum!! Thanks for this one!!! This was the best burger I’ve ever made, the end!